After a very successful debut with “The Adventures of Bobby Ray,” B.o.B is back with his sophomore effort, “Strange Clouds,” which was released May 1 on Atlantic Records. With this album, the artist also known as Bobby Ray has no chart-topping singles, as opposed to his three hits the first time around en route to an RIAA-certified Gold album. Despite this, “Strange Clouds” is a continuation of the sound B.o.B created with his debut. His ability to straddle the line between top-40 pop music and rap has led to a successful commercial start to his young career. Hip hop artist B.o.B released his sophomore album “Strange Clouds” May 1 on Atlantic Records, featuring Taylor Swift, Lil Wayne, Young Jeezy and T.I. The album opens with a big surprise as the powerful voice of Morgan Freeman speaks the first words heard on “Strange Clouds.” Unfortunately for B.o.B, this is one of the high points. Other notable features include Taylor Swift, who somehow managed to sneak her way onto “Both Of Us,” which sounds like two songs thrown together. 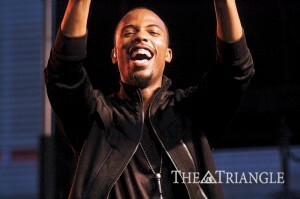 The verses feature a heavy electronic bass line with B.o.B rapping before unexpectedly changing to an acoustic guitar ballad. At this time I would like to formally retract the title “rapper” from B.o.B and hand him the title of “Atlantic Records puppet.” Unfortunately, this isn’t the first time this label has done this. B.o.B, Lupe Fiasco and Wiz Khalifa have all been victims of Atlantic’s antics. Atlantic has been forcing its rap artists toward the mainstream pop sound that will sell the most records. While you can’t fault their business practice (it’s been quite successful), sonically, it’s disappointing to hear great rappers making pop songs when they have potential to make great hip-hop and rap music. After the confused mish-mash that was “Both of Us,” the album shifts to the title track, which features Lil Wayne. B.o.B delivers his best rhymes of the album, including a little witty pre-hook line, “I’m top chef, you Top Ramen, I’m top shelf.” Unfortunately, this song has been out for almost seven months and isn’t quite as exciting as it was upon its release. It also is not nearly as good as the remix, which features Young Jeezy and T.I., but somehow did not make the album. The next four songs are rather forgettable as they lead into “Castles,” which features Trey Songz. The song is fun and energetic with a very catchy pop hook. Fortunately or unfortunately, depending on how you look at it, the album comes to an end with “Where Are You (B.o.B vs. Bobby Ray),” a piano ballad in which B.o.B addresses his struggles to adjust to his rise to fame and the change in his music over the years. It’s been nearly three years since we last heard a complete B.o.B album. During that time, B.o.B’s relevance wore off, which is likely the reason the album has failed to produce a hit single to date. It will be interesting to see how “Strange Clouds” does commercially in comparison to his debut, “The Adventures of Bobby Ray.” It’s wrong to call the album a sophomore slump, but it’s far harder to listen to as a body of work than his debut.